Across the country, small businesses and consumers alike are getting excited to support their favorite local, independent businesses on Small Business Saturday, which takes place this year on November 26th. Results from the fifth-annual Small Business Saturday Consumer Insights Survey, released today by the National Federation of Independent Businesses (NFIB) and American Express, show that more consumers than ever are aware of Small Business Saturday (58% vs. the previous high of 55% in 2015). More than six in ten (62%) consumers who are aware of Small Business Saturday and who plan to shop locally on the day say the main reason they plan to shop at small retailers or eat at independently-owned restaurants is because they value the contributions small businesses make to their community. Held annually on the Saturday following Thanksgiving, Small Business Saturday was founded by American Express as a response to small business owners’ most pressing need: getting more customers through their doors, rallying communities to support local businesses and helping kick off a successful holiday sales period. Of consumers who are aware of Small Business Saturday, 89% agree that the day encourages them to Shop Small all year long, not just during the holiday season. Nearly eight in ten (79%) consumers say they are willing to pay slightly more for an item if it is purchased from a small, independently-owned retailer as opposed to online or at a large retailer – on par with last year. And just how much are they planning to spend? Of those who are aware of Small Business Saturday and planning to shop and dine on the day, two-thirds (67%) say that they plan to spend at least $100 at small businesses on Small Business Saturday – a slight increase from 2015 (65%). On average, one-third (33%) of their holiday shopping this year is expected to be done at small retailers or restaurants – on par with last year. 76% say they will visit at least one small business as part of their overall holiday shopping, on par with last year. Additionally, 91% reported that supporting small, independently-owned bars and restaurants is important to them. 63% of consumers who are willing to pay slightly more for an item if purchased from a small, independently-owned retailer as opposed to online or at a large retailer say that in exchange for paying a higher price, they expect better customer service from small, independently-owned businesses. Nearly half (48%) of consumers who are aware of Small Business Saturday and who plan to Shop Small on the day say they expect to spend more on Small Business Saturday this year than last year – up from 45% in 2015, and the highest amount yet recorded. Consumers who are aware of Small Business Saturday and who plan to shop on the day say they plan to support many different types of small businesses on the day, including clothing/accessories/shoe stores (45%), restaurants/bars/pubs (41%) and bakeries (39%). Grassroots support for Small Business Saturday is largely driven by Neighborhood Champions, a program of advocates for Small Business Saturday comprised of small businesses, business associations, local Chambers of Commerce and other community organizers who help to rally their neighborhoods on the day. To date, more than 6,400 Neighborhood Champions – an increase of 56% percent from 2015 – have signed up to plan activities and events to draw consumers to commercial districts across the U.S., leading up to and on Small Business Saturday. In fact, 45% of consumers who are aware of Small Business Saturday and who plan to shop say they plan to attend a community event in celebration of the day. Another important group that drives participation on the day is the Small Business Saturday Coalition. Led by Women Impacting Public Policy (WIPP), the Small Business Saturday Coalition was created in 2011 to help amplify the Shop Small message. The Coalition is comprised of national, state and local associations that help coordinate Small Business Saturday activities with merchants, consumers and small business owners. Each year consumers have made it a tradition to share their Small Business Saturday experiences on social media. This year, consumers and small businesses across the nation are encouraged to show their love for their favorite independent businesses by using the #ShopSmall, #SmallBizSat and #DineSmall hashtags on Facebook, Instagram and Twitter. 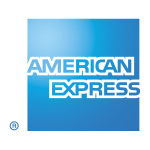 New this year, American Express is giving Card Members the opportunity to earn 2X rewards when they enroll an eligible American Express Card at http://www.amex.co/shopsmalloffer and shop at qualifying small merchants both in-store and online now through December 31st.1 With the addition of 1.6 million merchant locations that have started accepting American Express Cards over the past two years, Card Members now have even more places than ever to Shop Small2. When Card Members use an eligible Card to shop at qualifying small merchants they could earn 2X rewards in the form of what they already earn with their Card– from Membership Rewards® points to miles with Delta® to Cash Back and more. 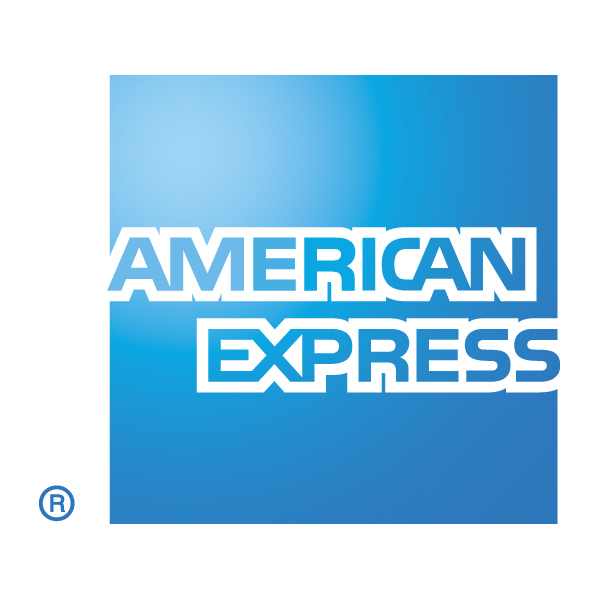 This offer is the latest way American Express is supporting the expanding network of small merchants who accept American Express Cards by giving Card Members yet another reason to Shop Small throughout the holiday season. To help further spread the Shop Small message, American Express has enlisted the support of many companies that are serving as Corporate Supporters. Together these companies reach millions of small businesses and consumers and are key players in the retail, telecom, media, hospitality, transportation, and professional services industries. Some of the companies that will be participating include FedEx, Uber, AT&T, Valpak and Ace Hardware. The Small Business Saturday Consumer Insights Survey was conducted among a nationally representative sample of 1,653 males and females 18 years of age or older. The sample was collected using an email invitation and an anonymous online survey from October 18-28, 2016. The survey has an overall margin of error of +/- 2.4%, at the 95% level of confidence. November 26th is the seventh annual Small Business Saturday. Dedicated to supporting local businesses that create jobs, boost the economy, and preserve neighborhoods around the country, Small Business Saturday was created by American Express in 2010 in response to small business owners’ most pressing need: getting more customers. Learn more and follow us on ShopSmall.com, instagram.com/shopsmall, facebook.com/SmallBusinessSaturday, twitter.com/shopsmall. NFIB is the nation’s leading small business association, with offices in Washington, D.C., and all 50 states. Founded in 1943 as a nonprofit, nonpartisan organization, NFIB gives small and independent business owners a voice in shaping the public policy issues that affect their business. NFIB’s powerful network of grassroots activists sends their views directly to state and federal lawmakers through its unique member-only ballot, thus playing a critical role in supporting America’s free enterprise system. NFIB’s mission is to promote and protect the right of its members to own, operate and grow their businesses. More information about NFIB is available online at www.NFIB.com/newsroom. 1 Card Members will not earn 2X rewards on any bonus they may already enjoy with their Card, such as when they spend on certain types of purchases or at certain merchants. Prepaid and Corporate Cards, American Express Cards issued by other financial institutions, The Plum Card® and certain other Cards are not eligible. Reward caps and other terms apply. 2 Based on internal comparison of American Express small merchant locations in December 2013 to American Express small merchant locations in December 2015.